Having a wonderful time; wishing you were here! Just when you thought it couldn’t get more specific…. 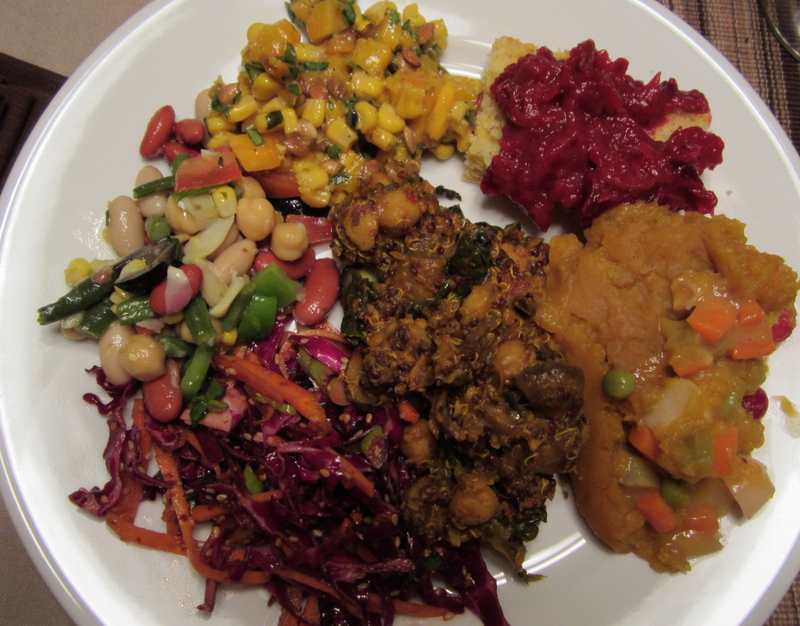 Thanksgiving has gone from vegetarian to vegan to vegan and gluten-free, at least as far as our family goes! Everything we made this year fit that category, because we wanted to make sure there would be things we could eat. It’s always been vegetarian with this group of friends – for over 30 years! – but to our great surprise, this year everyone brought things that were gluten-free. Not everything, but lots. Of the three families who represented, all the moms have given up wheat products. Also, two of the young people are gluten-free now. That made for some very interesting signage on the platters… and lots for us all to eat! 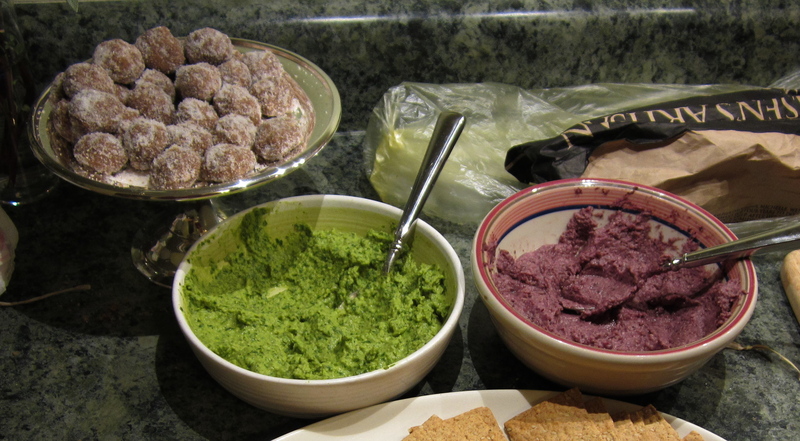 Our own family’s offerings included two kinds of hummus (sooooo wonderful! 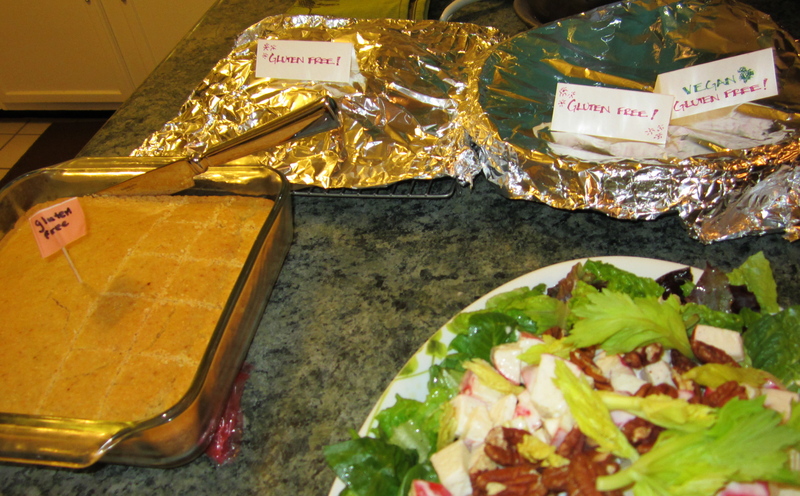 ), cranberry upside-down cake (trying to recapture the magic of the pineapple cake I made 2 weeks ago – didn’t look so good but was tasty), corn bread, Shepherd’s Pie with butternut squash topping, and bean salad. 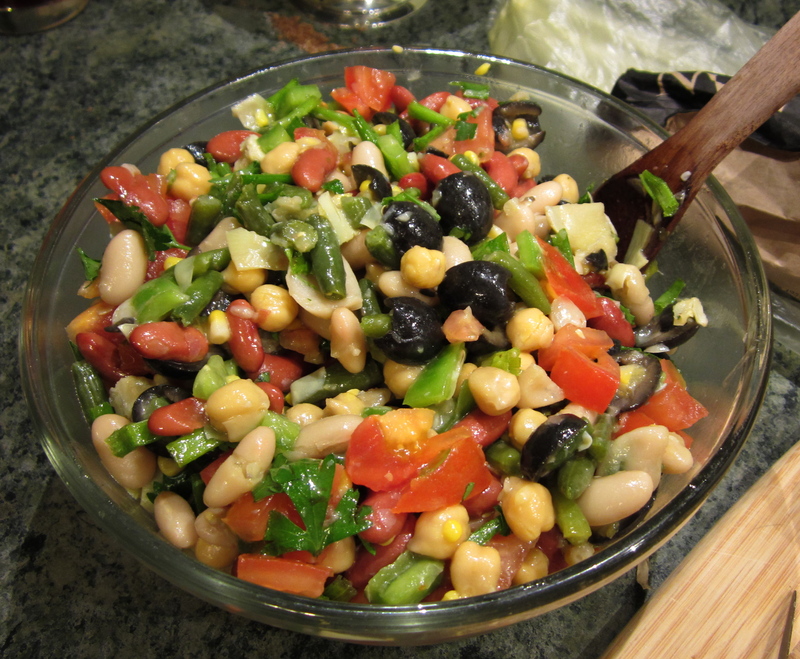 The biggest hit besides the hummus was the bean salad. It’s really just my everyday one to make, and my husband made it, but it was definitely delicious. Here is the paper we received on Thanksgiving Day. On the left, the news. On the right, just the ads! 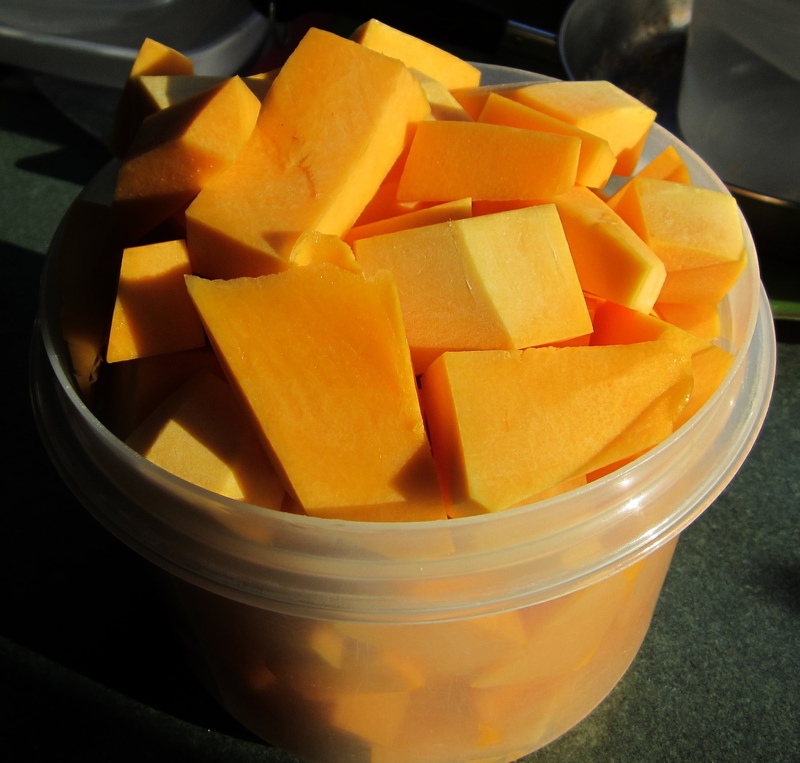 A whole lot of squash, ready to cook for Shepherd’s Pie. I even had some gluten free beer! Spinach hummus, olive/artichoke hummus, and some kind of Mexican pecan cookie – vegan and gluten free – in the background. Many casseroles including the shepherd’s pie, and traditional cheesey potatoes and spanikopita for those who still eat them! Doesn’t this plate look wonderful! I was truly thankful! 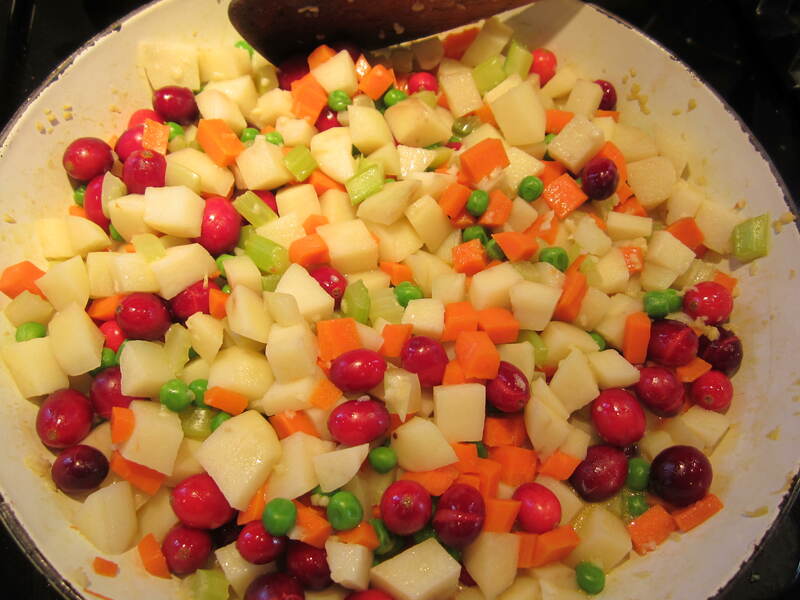 2 Responses to Thanksgiving: Now in Gluten-Free! You guys really know how to put on a party. Happy GF Thanksgiving! yum!!!! I would’ve loved to have been there. Let’s do another Feb get-together like last time!! great pics & great food w/ great ppl. Could you send me the shepards pie recipe? I feel like it’s something might actually be able to make here.